By Michelle Caceres When Prime Care of Tampa Bay first opened its doors 10 years ago at 13142 Elk Mountain Dr. in Riverview, the office couldn’t be located using GPS. “Patients had trouble finding us because there wasn’t much out here,” said Administrator Geeta Sue-Wah-Sing. That’s not the case today with the Publix-anchored Summerfield Crossings sitting in close proximity to the office complex and a Starbucks right around the corner, making the office easily found. Things have changed inside the practice as well. What started out as a two-physician practice has swelled to three physicians and eight support staff. A second location at 819 Cypress Village Blvd. in Ruskin has also opened. Some things have stayed the same even as the practice has grown. “We have patients that have been with us since day one,” said Sing. She accredits Prime Care of Tampa Bay’s success to the quality of physicians (all three are Board Certified in Internal Medicine) and the dedication of the physicians and staff. “We provide the care that we expect when we go see a doctor,” said Sing. Prime Care of Tampa Bay’s doctors, Jocelyn Bueno, M.D., Cecil Sue-Wah-Sing, M.D. 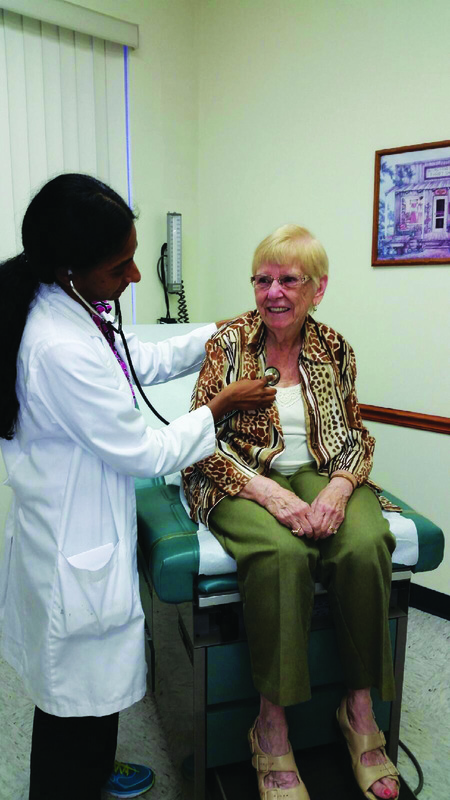 and Satya Gullapalli, M.D., are on-call after hours and on weekends, following their patients’ care from hospitals to nursing homes. That excellent care is reaping rewards, with 90 percent of new patients coming from referrals from current patients’ family and friends. “That tells us that we are definitely doing something right,” said Sing. One patient who frequently refers Prime Care of Tampa Bay to others is Tanya Estevez, who became acquainted with the doctors’ staff who were frequent customers at her restaurant, Little Habana Café. “I’m glad I gave them a try because I find my doctor very attentive, mild-mannered, gentle and caring,” she said. She also appreciates that when she visits the office she is seen by a doctor, not a nurse practitioner or physician’s assistant. “When I go to the doctor, I want to be seen by a doctor,” she said. Prime Care of Tampa Bay’s Riverview office hours are Monday through Friday 8:30 a.m.–5:30 p.m. The office accepts most major medical insurance plans as well as Medicare and Medicare Advantage plans. For more information, call 672-8440 to reach its Riverview office or 634-5858 to reach its Ruskin office.